McCain to attend debate :: WRAL.com. Dumb idea to even float the cancellation in the first place. 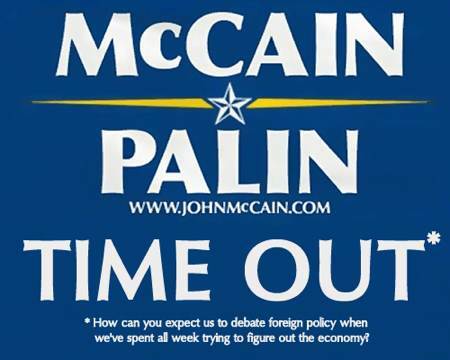 McCain/Palin call timeout on the 2008 campaign. Kinda reminds me of the 1993 NCAA Men’s Basketball National Championship. Our children’s futures over just wanting a “really large number.” Unbelievable.